I think it would be awesome if Harley riders started wearing nifty caps and bow ties again. It’s outdoor timeâ€”and the open season for going places! When you own a 1937 Harley-Davidson you light out for the fun spots any timeâ€”evenings, Saturday afternoons, and over week-ends. Distant places are brought nearerâ€”your mount has speed galore. Costs are way down lowâ€”the new Harley-Davidsons have many new and unusual motor improvements which cut gas and oil consumption tremendously. No other type of transportation can match these up-to-the-minute motorcycles for economy. And sayâ€”if it’s smart styling, class, and riding comfort you wantâ€” get aboard one of these 1937 models! See your nearest Harley-Davidson dealerâ€”PRONTO. Ask him for a FREE RIDE â€” about his Easy Pay Plans â€” and send in the coupon. 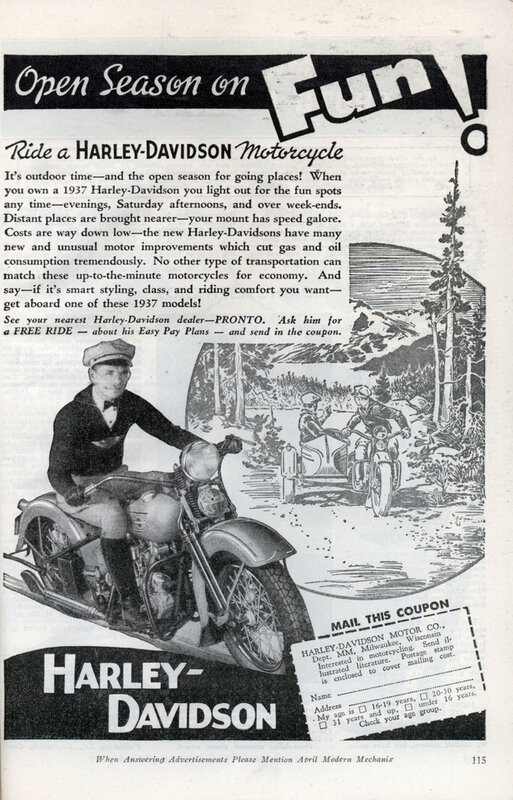 An advert for 1937 Harley-Davidson in a 1934 Modern Mechanix? 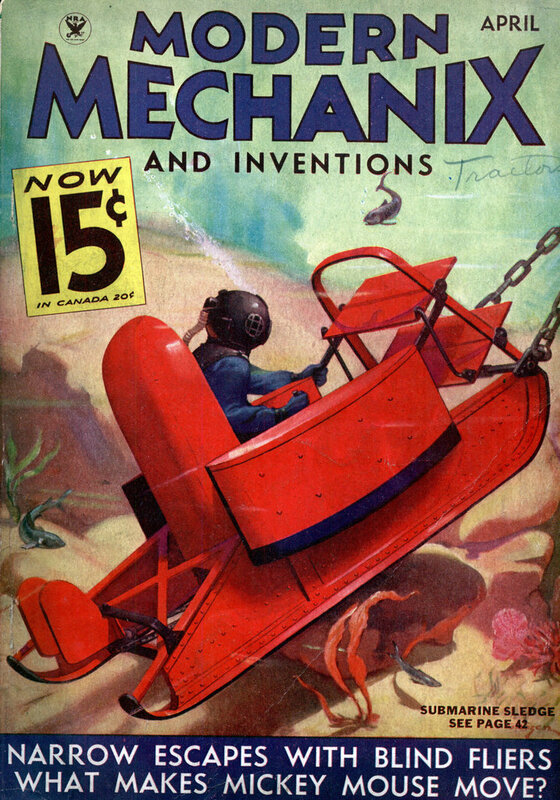 It is an April 1937 issue. Found the date in one of the ads.